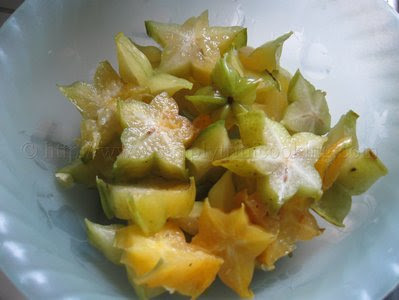 The five finger (carambola, star fruit) tree in my backyard is laden these days. 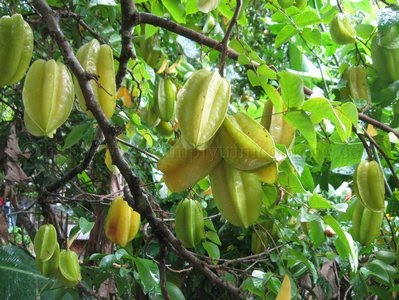 And with so many on the tree I just have to show you all a few trini recipes that use five finger. 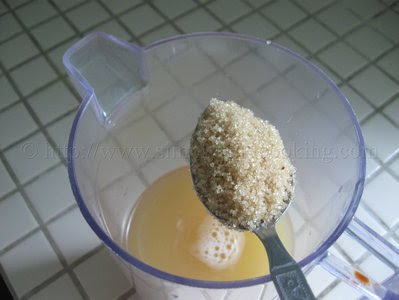 First off today I will be showing you all how to make five finger juice. 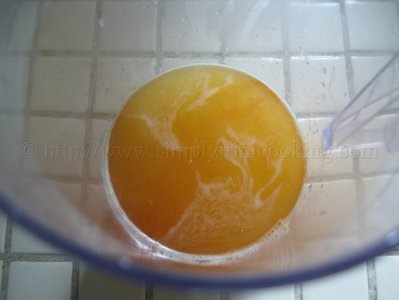 This juice is high in vitamin C.
This recipe is simple and straightforward so much so that I feel other twists could be done to this basic five finger juice recipe. 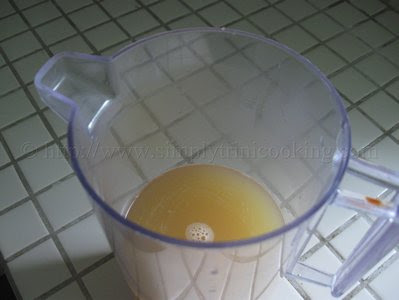 What we did the second time we made five finger juice was to add a bit of orange juice to it. It was really amazing. Next time I would like to try out maybe orange and pineapple together with the five finger. I can’t wait to try that! I can just imagine the semi sweet fruitiness of the five finger juice together with the slight tang of the orange and …… I’ll be short . 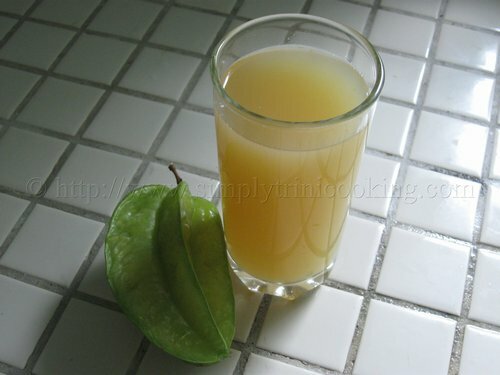 While you all try this wonderful five finger juice I am going and pick some more…..(thinking to myself .. I think it still have ah tin of pineapple orange juice in de cupboard. Lemmeh stop typin’ and go get some five finger…….ah go pick a few extra to make something else one time). Wash and cut up the five finger. 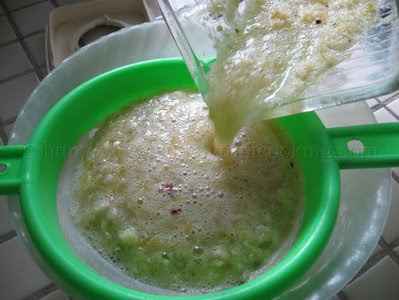 Blend with 1 cup of water and strain. Note: Squeeze the pulp to extract more juice. Add two more cups of water. Add bitters and sugar to taste and stir. I would like to say that you should not drink too much of this juice. 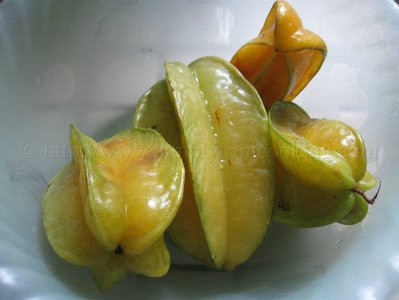 It has been known to cause nausea, vomiting, abdominal pain, and backache, especially if consumed on an empty stomach (Source). More recipes to come. Bye.